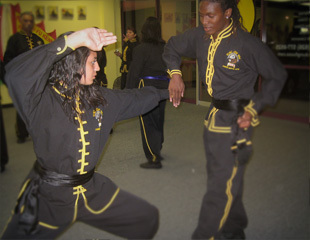 The "Black Belt Program" is designed for students who have set the goal of one-day achieving the rank of Black Belt in the Northern Shaolin Eagle Claw Kung-Fu system. 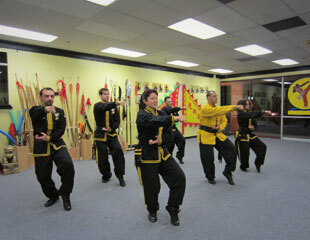 Emphasis is on mastering traditional Kung Fu and on gaining a wide variety of Martial Art knowledge. In this Black Belt Program students will learn traditional Empty Hand Forms, Partner-Forms, Weapons, Lion Dance, Pressure Points and Joint Locks (Chin-Na). 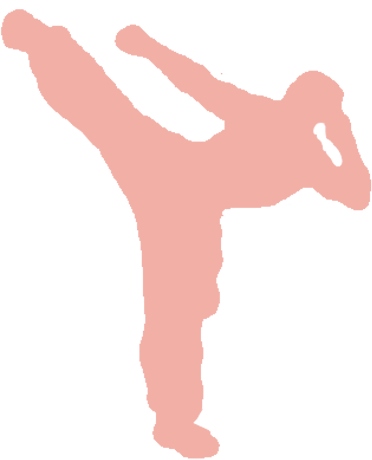 Master Kenneth Edwards and his top professional instructors offer "special" classes, workshops and seminars to members of the Black Belt Program. These special classes provide students with insight and experience in many ancient Chinese Martial Art concepts. These dedicated and advanced students will gain the technical ability and the diverse knowledge necessary to become a Black Belt in the Northern Shaolin Eagle Claw system.